Search Engine Watch: Brag & Sell? Can You Increase Your Market Share by Bragging? Perceived Value: By bragging that your product or service is of value, customers are more enticed to purchase from you. Credibility: Simply bragging, though, often isn’t enough to convince your potential clients that they should choose you over the competition. By bragging about your certifications or experience, customers will begin to believe the perceived value you’ve projected. Risk Reduction: By creating a strong creditability, customers will think their purchase is less of a risk. Customers are more likely to follow through with purchases when they have less doubt about the business or product. It is important, though, that your bragging is both legal and subtle. Claiming that you are the “best” or “#1” can often lead to trouble if it is not supported with third party data. Also, if you are too overt, potential customers might interpret your bragging as fictitious. 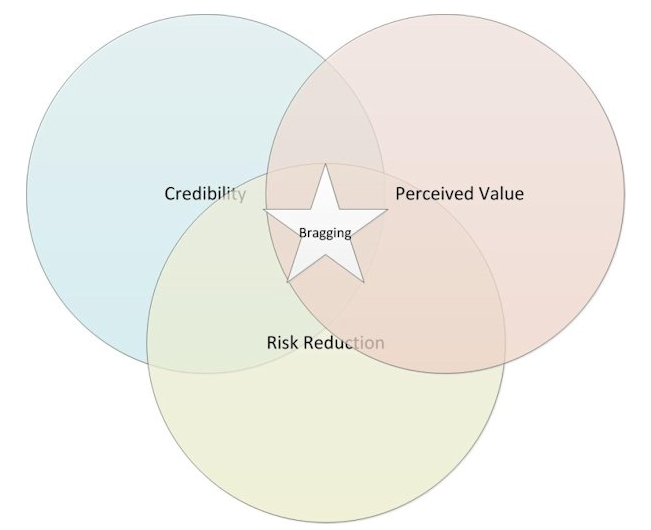 So, if you choose to use bragging as a marketing tactic, make sure that is believable and factual.